What is the connection between SodaStream and Gaza? A few months ago, during the days when the occupation seemed somehow more mundane, back when over 100 senseless deaths in the span of 24 hours would have felt unexpected, Scarlett Johansson and SodaStream were the talk of the virtual town that my friends and I here in Israel inhabit. Back then, it felt easier to ignore the arguments in articles or on facebook threads that “at least Israeli companies in the West Bank give Palestinians honest employment” or “look how happy everyone looks in their advertisement.” I happened to know they were wrong, even then — since the very beginning of my work this year, it has been clear that non-citizen Palestinians are some of the most commonly exploited workers in Israel by virtue of their being occupied, and that the otherwise shiny example of SodaStream is a drop in the water next to the many hundreds of Palestinian date farmers employed under minimum wage in the Jordan Valley, or the thousands of shekels a month some Palestinians pay as brokerage fees in exchange for work licenses, or the gruesome examples of Palestinian construction workers left to die after work accidents in Israel. I knew the pro-SodaStream arguments were wrong, but it was hard to devote any real attention to them — they seemed like silly apologetics in the midst of a system of wrongs silently raging on. I even jokingly wrote a short poem about it. It’s been a few months. Today I could not tear myself away from the gruesome photos coming out of Shujaya. I read as a sort of intellectual grieving (and as a break from the photos): the transcript of an interview with a Gazan human rights leader who said “Cast Lead was a joke compared to this,” reports of the anti-tank mine blown up under 7 Israeli soldiers, an inquiry into the war crime that was the bombing of the the Al-Wafah hospital. I also read that a group of 60 Palestinian workers were collectively fired from SodaStream. From the letter written by WAC-Maan on their behalf, it seems to have apparently started after a night shift in which workers weren’t given enough food for iftar (they were forbidden from bringing food from home into the factory because of kashrut considerations). They complained to management about it, saying that it’s dangerous to work with heavy machinery after a full day’s fast without a proper meal. The next morning, the management fired the entire group of workers and hesitated to let them back into the factory to collect their belongings (it turns out that some of their lockers were broken into and stolen from). A few days later, management also claimed that the workers left the job on their own accord and damaged the factory, which effectively strips the workers of their right to severance pay. For some of those Palestinians, that means the loss of tens of thousands of shekels. There is nothing that connects the horrors wrought upon Gaza to the injustice done to these SodaStream workers in the West Bank. Nothing except us, that is. 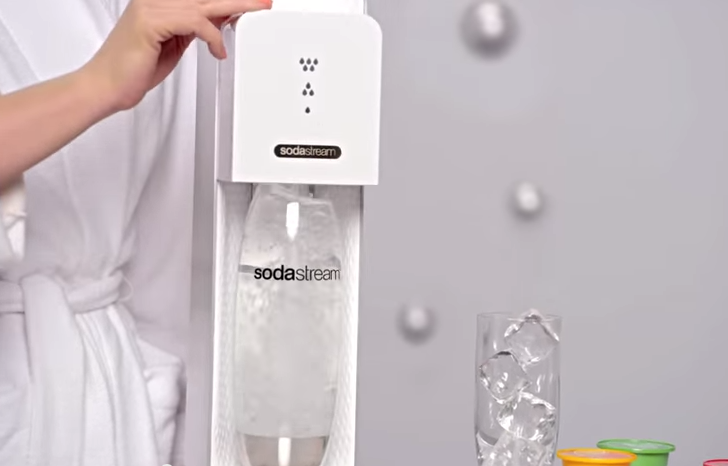 The latest twist to the SodaStream story was one that I’ve become used to over these past few years. If it had come out on a different day, it would have been nothing other than a certain vindication, a dull jolt to remind me that the goings on in this place seem to justify the things I hope for. But it came out today, death not far off, a month into a political game turned wrong. The term הכיבוש משחית- ”The occupation corrupts”- has taken on new meaning. The occupation of the West Bank, the siege on Gaza, the farce of a unified Jerusalem, the depth of discrimination against Palestinian Israelis… All of them are uneventful and tragic, tedious and nauseating, finespun and vulgar at once. As much as we might want to deny the collective rights and history of Palestinians, it seems to matter less whether you are a farmer in the South Hebron Hills, a child in Gaza, or a worker quiescently making ends meet in an illegal industrial zone in the West Bank. That you are Palestinian is grounds enough to justify your oppression, whether that oppression be run-of-the-mill or unimaginable. The little I’ve spoken about the war publicly, I have tried to speak carefully of context — that context does not justify rockets falling into Israel or the actions of Hamas, but that it does justify my utter refusal to support this war. This day, I guess, has been very viscerally about context.